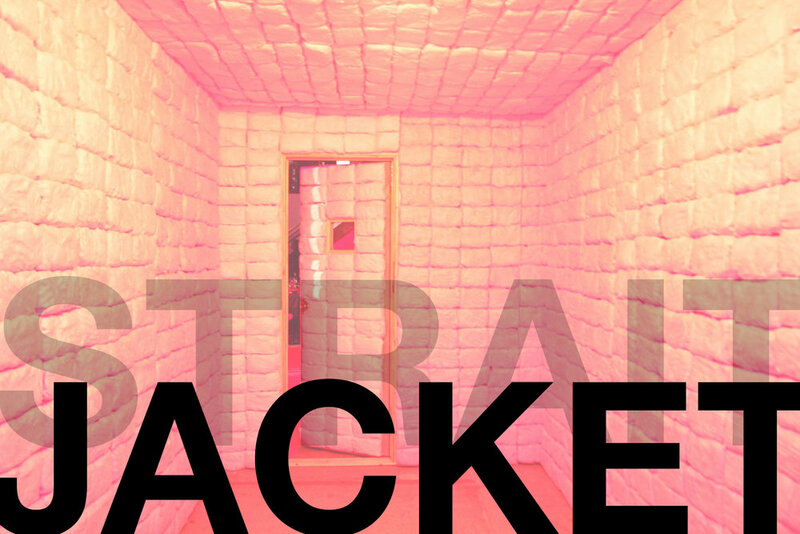 STRAIT JACKET — You Get An A Plus, Inc.
Photography/Artistic Inspiration: PADDED WALLS, 2010 by Jennifer Rubell | Photo: Joseph Michael Lopez | Graphics + Ideation by A+. STRAITJACKET is a fully immersive performance and interactive experience that bridges the gap between a theatrical storytelling structure and the operatic art form. A contemporary work, interweaving installation art, period costume, and Dan Flavin-like lighting with movement, dance, and drama, it artfully recounts intimate sensory and emotional experiences from the asylum. Honoring the classical, while featuring the avant-garde, Straitjacket discusses the boundaries between the definitions of sanity, insanity, and the arts. This play explores the history of how and what it meant, to be dispatched to the asylum. “Chosen ones” were sent off for being an outlier, or acting slightly out of the norm – even simply for being an artist and acting “crazy” via having radical ideas. Gender issues are also embedded in this history, as women (who at this time where not allowed to vote) were sent off, often against their own will, simply for having moods, or “episodes” as they were called. This play explores the history, by highlighting the arts and the extraordinary reasons for which people entered into the 19th Century asylum. Regina Miranda is a Theater Director/Choreographer, Movement Signature Analyst, and Cultural Advocate. She is the Founding Artistic Director of the Regina Miranda & ActorsDancers Company, and the CEO/Director of Arts & Culture of the prestigious LABAN/Bartenieff Institute of Movement Studies, LIMS NYC. She accumulates 40 years of performing arts experience, and over 20 years directing cultural institutions in Brazil and the US. In Rio, Regina Miranda & ActorsDancers Co. has created over 40 full-night performances and numerous site-specific and interactive plays for the company, being the recipient of more than 10 major national and international awards. Her most notable and critically acclaimed work as Director of Performing Arts at the Museum of Modern Art in Rio de Janeiro is the sold out, 3-hour interactive performance that was “the most beautiful spectacle of the year in Rio de Janeiro” (Elizabeth Carvalho), and simply, “daring, that worked” (Veja Magazine). This powerhouse delivers us a celebration of universal emotion in the discussion between art and sanity/insanity. Recognized as “a Brazilian reference” (Helena Katz of Crítica) and praised for her “mode of expression that stands at the crossroads of literature, music, theater, and dance” (J.M. Durand of Le Progrès), Regina Miranda celebrates the magnitude of Brazil’s culture in literature, music, and performance through their theatrical experience, STRAITJACKET, for a New York City debut with the global hopes of a 6-venue tour. Conceived, Directed and Choreographed:Regina Miranda. Text: Regina Miranda, including excerpts from Machado de Assis, Lima Barreto, Qorpo Santo, and other international authors and patients, most of them with experiences of mental disorders. Run: Six-Week Run (Thursdays, Fridays, Saturdays): EXACT DATES TBD.